Given that they are healthy with Joel Embiid and Jimmy Butler back in the lineup, this may be the most points the 76ers receive the rest of the season. I understand the Warriors are showing signs of reaching peak efficiency having won 11 in a row. But this is a lot of points for a good team to be receiving in what shapes up as a flat spot for the Warriors. Philadelphia is 33-18. The 76ers have looked good in six of their last seven games burying the Timberwolves by 42 points, the Pacers by 24 on the road when Indiana still had Victor Oladipo, losing to the Thunder by two, beating the Rockets by 28 followed by a victory against the Spurs. The 76ers were blown out two games ago by the Nuggets on the road before defeating the Lakers by 16 points in LA two days ago. The 76ers have something to prove in this matchup. Golden State doesn’t. The Warriors enter their first home game in two weeks fat and happy having just completed a 5-0 road trip. The Warriors often are overpriced at Oracle Arena. They are just 3-9-1 ATS during their last 13 home contests. Following this matchup, the Warriors host the Lakers on Saturday in a nationally televised (ABC) game with LA expected to have LeBron James back. So this also is a look-ahead spot for Golden State. 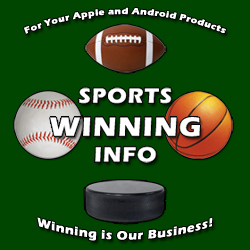 This is the best place online to get Stephen Nover's sports picks, so click here for his winners in NFL, NCAAF, NBA & MLB.